I heard from several people that if you really want to experience Louisiana’s Northshore, Madisonville had to be on your list. I decided to find out what all the hub-bub was about, so the last time I was in the area, I headed out for an adventure. 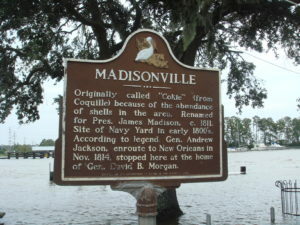 Madisonville was originally named Coquille. The drive was worth the time. Madisonville, originally called Coquille (I believe due to the shoreline shells), is named after President James Madison. I learned that it is the oldest permanent settlement in St. Tammany Parish. 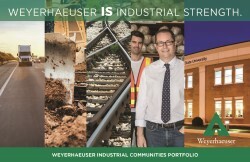 I also learned that the town is more than just charming; it is historic. The streets are lined with beautifully restored homes. The downtown has antique shops and eclectic stores that make for a fantastic way to laze away the day. 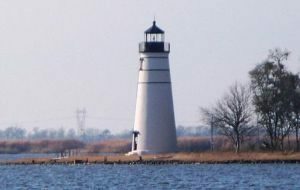 The Tchefuncte River Lighthouse is a main attraction in Madisonville. Madisonville boasts an incredible waterfront along the Tchefuncte River. One of the landmarks is the Tchefuncte Lighthouse, and while I saw it during the day, I heard it is the perfect place for watching the sunset over Lake Pontchartrain. A really cool place is the Lake Pontchartrain Basin Maritime Museum. The museum presents a journey through Louisiana’s maritime history. I now feel much more educated about early boatbuilding, the coastal towns and how the Northshore advanced through the years with the Causeway construction. I recommend a few hours spent here when you are in the area. So, with all this activity, I had worked up quite an appetite. Like all the Northshore towns, Madisonville’s restaurant options are simply amazing. I was craving seafood, of course, so according to one of the locals, that meant Morton’s Seafood Restaurant and Bar. After an order of chargrilled oysters and the platter of oysters, shrimp and catfish, I was in heaven. I shouldn’t have, but I ate a few bites of the bread pudding dessert. Delicious. It was time to head back to New Orleans, but I know a return trip is a must to see more of Madisonville’s sights. I want to experience the breathtaking sunset behind the Tchefuncte Lighthouse, and I want to try out more restaurants. The town of Madisonville is definitely worthy of a president’s name!